Don't Miss Out On Ocean State Invitational! More than 5,000 high school and junior high runners invaded Goddard Park in Warwick, R.I., for last year's Ocean State Cross-Country Invitational, making it one of the largest X-C meets in the region. Plan for more of the same next month for this year's 12th annual event, scheduled for Sept. 21-22. Race officials are predicting big numbers for the popular meet, which had 172 high school teams and 49 more middle-school squads for the two-day event in 2017. 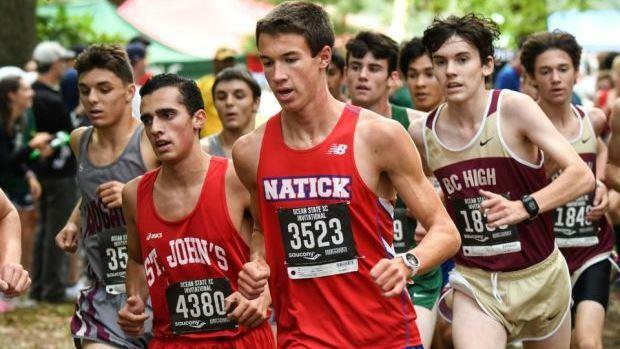 The Ocean State Invite takes place on a flat, fast and scenic layout that takes runners through open fields and wooded trails while also offering a picturesque view of the Atlantic Ocean. The meet attracts teams from throughout the northeast region and beyond. Schools from CT, ME, NH, NJ, NY, PA, RI and VT are sanctioned for this fall's event. The Ocean State Invite is a well-organized meet with multitude of officials to ensure each race is run on time. It's also a generous event with awards to the top 30 (plus Special Awards) in each of the 20 different races, which includes six for the middle-schoolers and 14 more for the high-schoolers. Check out the race's website, oceanstatexc.com, for meet details, time schedule, and hotels.